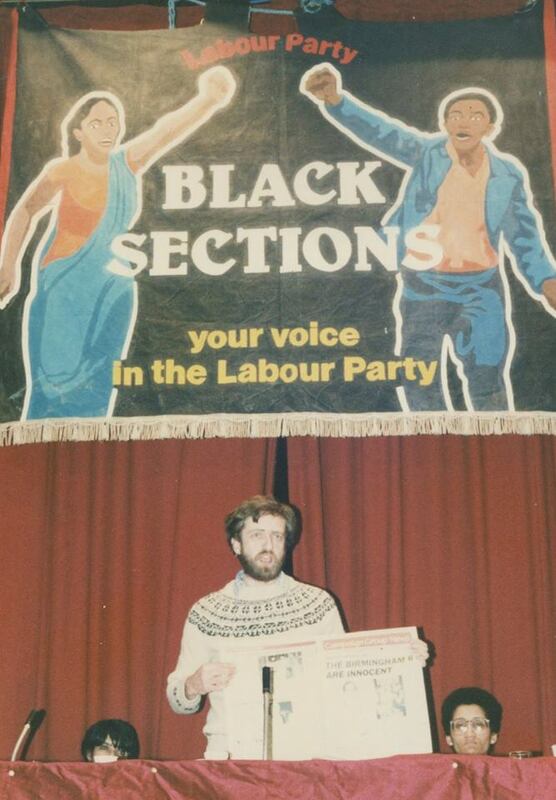 One of Jeremy Corb yn’s closest allies in the Asian community last night threw down the gauntlet to the Labour leader to put his weight behind a campaign to reinstate into party membership two leading Black activists. 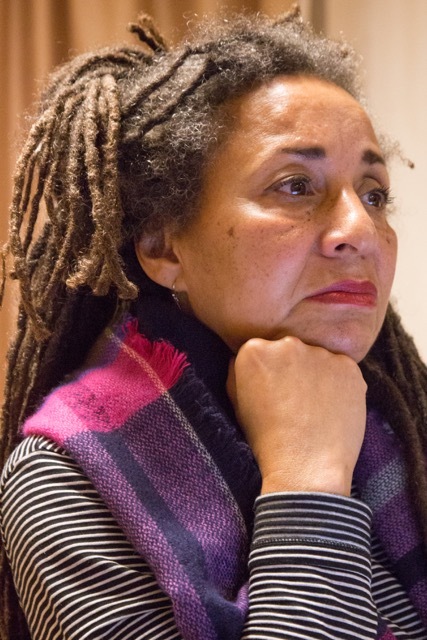 Black and Jewish campaigner Jackie Walker was sacked as vice-chair of the 20,000-strong Corbyn-supporting Momentum movement in October and her Labour Party membership suspended for the second time in a year after unfounded claims that remarks she had made were anti-semitic. 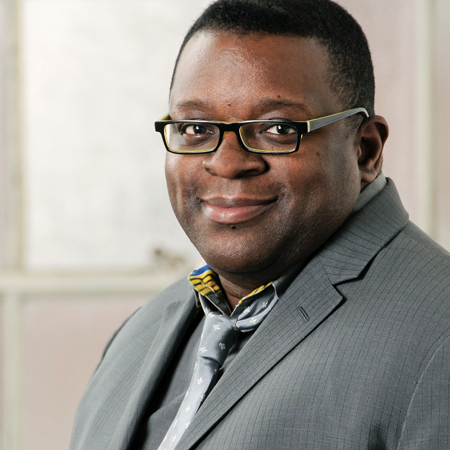 Veteran Black activist Marc Wadsworth was suspended in June after a highly publicised spat with MP Ruth Smeeth, at the launch of the Shami Chakarabarti report into Labour anti-semitism and racism. Smeeth afterwards issued a statement accusing Wadsworth of anti-semitism despite the fact he did not know at the time she was Jewish. He had accused her of colluding at the launch with the right-wng, anti-Corbyn Daily Telegraph. Wadsworth noted that Black people and Muslims, particularly, had been targeted by anti-Corbyn right-wingers who had "weaponised" anti-semitism and they included prominent Black women like National Union of Students President Malia Boauttia, Chakrabarti and Walker. 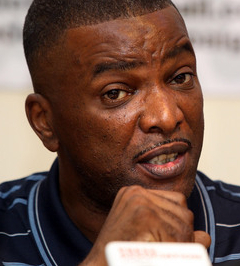 Grover helped Doreen and Neville Lawrence’s Justice for Stephen Lawrence Campaign after Wadsworth had assisted the parents of the murdered Black teenager to set it up in 1993. 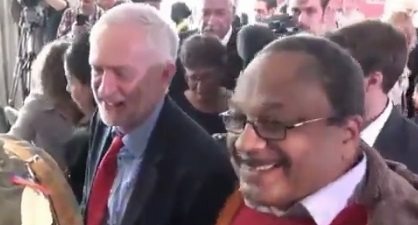 Wadsworth said he had known Corbyn as a friend and comrade since he was a NUPE trade union official with Labour Party Black Sections activist Bernie Grant and was the first TV journalist to interview the future Labour leader when he was elected an MP in 1983. Jewish socialists, incl uding Walker, have accused right-wing Zionist supporters of Israel of using baseless charges of anti-semitism to attack Corbyn over his support for Palestinian rights. 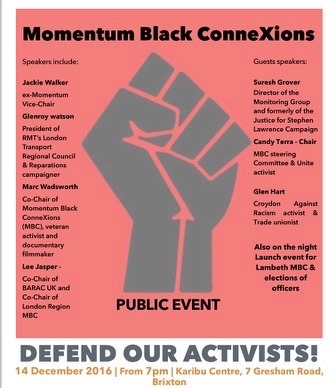 Other speakers were Lee Jasper, ex-London mayor Ken Livingstone’s race and police advisor, whose new Labour membership was withdrawn after just a few days last month because, four years ago, he stood as a candidate for George Galloway’s Respect party, and Glenroy Watson, president of RMT’s London Regional Council. What was needed now, said Scott, who has played a leading role highligthing the police killing of Mark Duggan, was a Black Momentum “talking with our communities, building capacity and nurturing future Black leaders by sharing the brain power and experience that those in the organisation undoubtedly have”. 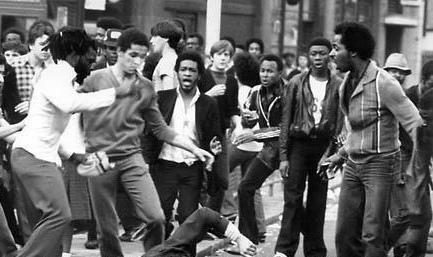 Lambeth Unison activist Hassina Malik commented that, much like the demise of the Black Sections, the town hall's Black workers group had all but disappeared at a time when Black self-organisation was deperately needed. 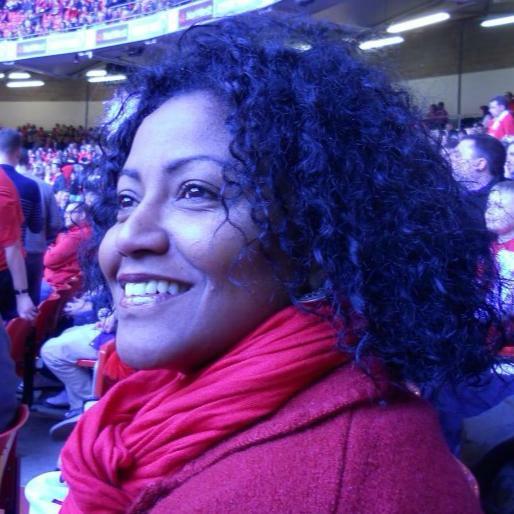 In the mid-1980s Black Sections vice-chair Linda Bellos was leader of Lambeth Council. There was a big increase in Black staff and even a Black chief executive. But now, said Malik, there were no Black members of the council's senior managment team, its Black workers earned 15 per cent less than their white colleagues and were more likely than them to face disciplinary charges at work. The meeting was chaired by Candy Terra, an MBC national Steering Committee member and Unite activist. Glen Hart, Croydon MBC secretary and the RMT London Regional Council's political officer, was the organiser. 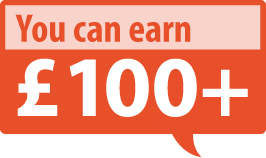 Walker and Wadsworth have received the support of thousands of people (as evidenced by the overwhelmingly favourable comments online at the bottom of newspaper articles about their cases). 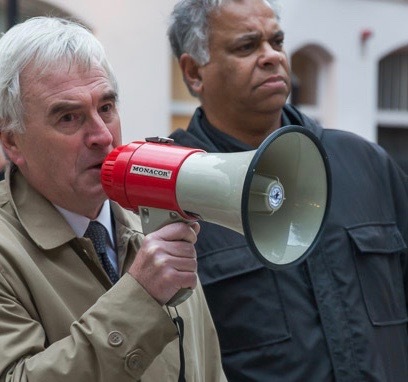 These have included leading Jews and Wadsworth has been backed by Unite the union, the National Union of Journalists' Black Members' Council, which he chairs, and influential community groups like the Leicestershire branch of the Indian Workers' Association. Despite its national committee earlier this month unanimously passing a motion aimed at launching a campaign against unjust Labour "suspensions and annulments" Momentum's leadership has so far done nothing to publicly support Walker or Wadsworth, despite requests for them to do so. Under a link to this story in Wadsworth's 6,500-member Citizen Journalism group Isaac Julien, the internationally renowned Black filmmaker, wrote, emphatically: "THINGS ARE GETTING VERY REVEALING!!" Wadsworth was expelled by Labour officials on the same day as the Chakrabarti report launch at which he spoke, based solely on media reports of what had happened. But, after receiving a letter from his solicitor, Harriet Wistrich, a top human rights lawyer, pointing out this breach of natural justice the party changed it to a suspension pending the outcome of an investigation. 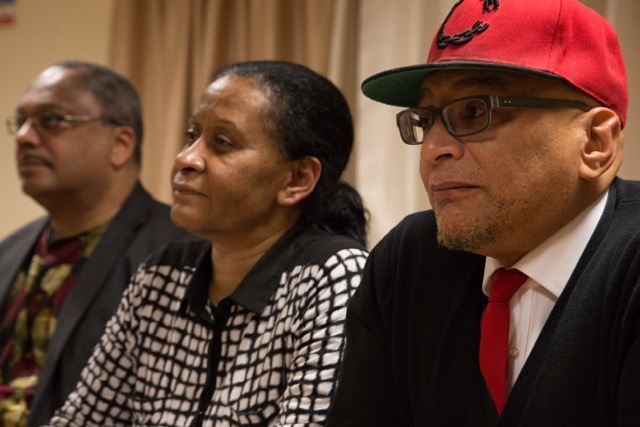 The Defend our activists meeting agreed to launch a Justice for Jackie Walker and Marc Wadsworth campaign to win their reinstatement, with a launch meeting at the House of Commons, and public meetings around the country.